Yarn along – Week 40 – Tchaka! Today I have only a short update for Ginny’s Yarn Along, but a significant one: Tchaka! I’m the quickest! Well maybe not, but a quick one indeed. Within one week I knit up the a Phoebe Sweater in the smallest size. I wove in the last ends yesterday night and now I only need to block it and find matching buttons. And I already started with the second size and finish already the lower patterned part. Now a lot of stockinette stitch (181 stitches per row!) buteven though this one is a little bigger, it still knits up really fast. 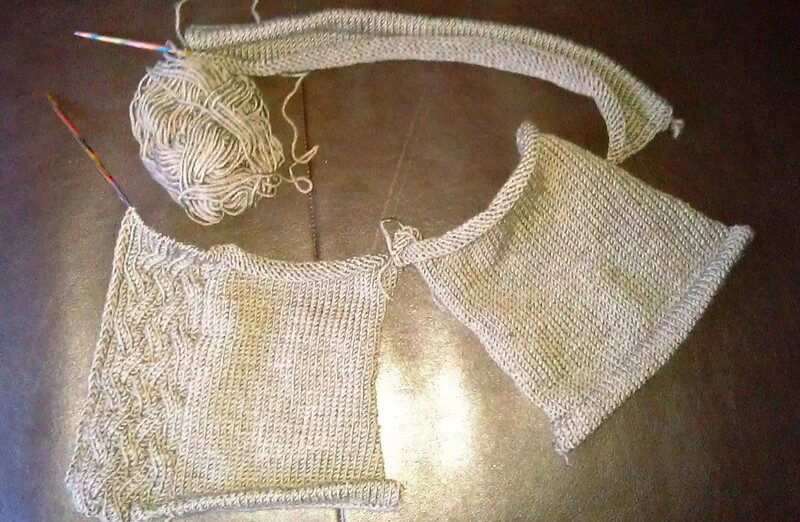 And on the weekend I was longing for something else to knit so I started the Toddler Cardigan again. This time in a beautiful Merino wool and in a far more manly colour, something that is called medium brown but I would rather call it mud. Doesn’t sound appealing but I think it will look great on the recipient who is a rather stylish, fair haired, blue eyed, then 17 months old. I even knitted a few rows of the colour work side of my brother’s Christmas Sweater but so few that I don’t think it s worth showing you a picture. Same goes for my reading which is the same as last week. Maybe more news next week because tomorrow is “Reunification Day” obviously a public holiday in Germany, the 23th to be precise. You’ve got some lovely knitting going on there. 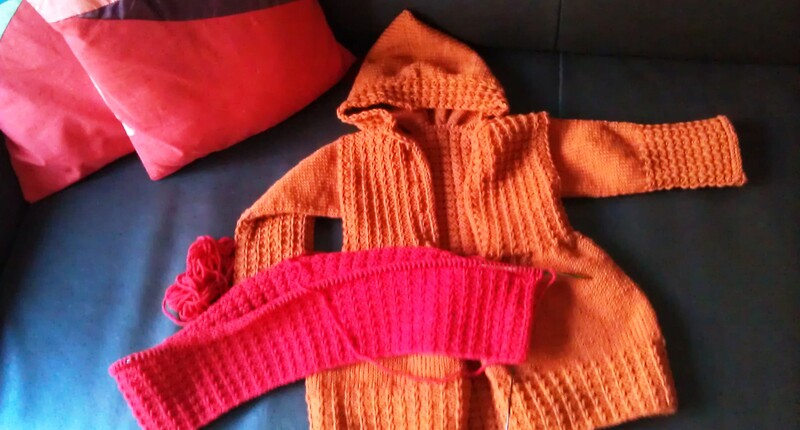 Gorgeous colours for the Pheobe’s and the toddler cardigan is very sweet. That little sweater looks so cute! Thank you! I really like it too. Hope it is not too small because she has grown too much until christmas.